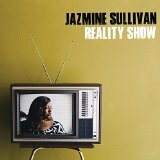 Jazmine Sullivan’s third album comes after a five-year break and follows a period of personal turmoil and subsequent self-discovery for the big-lunged Philly r’n’b singer. “Reality Show” may suggest something both toe-curlingly revealing and tackily brash but Sullivan’s elegant but charged timbre and monologues couldn’t be further from this. There is also some fun to be had to here though, more than might possibly be expected given the reason for Sullivan’s break, and a distinct cohesiveness throughout which given the scattershot of styles chosen is quite an accomplishment. And this is an album that Sullivan has invested heavily in; co-producing, writing and selecting material that reflect her choices as an artist returning to the game where even a year out can result in negative speculation. “Dumb” is the smart, albeit misleading, opener and first single of “Reality Show”. Smart because it immediately reconnects to the Sullivan sound of 2008’s, Grammy-nominated “Bust Your Windows”; it’s operatic, audacious and built around that mesmerising pure soul voice. It’s also a very good song and sounds very much of its time. Misleading in the sense that it doesn’t reflect the rest of the album, at least sonically. It makes its point, sets the scene before retreating to allow for more subtle and unexpected sounds. “Mascara” is one of a triptych of songs that have a sixties girl group sentiment and sound. The most contemporary sounding of the three, “Mascara” is a lyrically ambiguous song that at first seems to be a ‘make the best of yourself’ ode to faking it when you’re actually breaking down a little inside. A closer listen confirms that Sullivan has adopted the persona of a defensive, insecure woman who hates other women and would do anything to keep hold of her partner, whatever the compromise in her dignity. It’s smart and buoyant and proves Sullivan can trip up a complacent listener. “Stupid Girl” is a juddering, snare rolling retro track that brings to mind Mark Ronson’s more playful Amy Winehouse productions and the relentless Motown thwack of “If You Dare” sends Sullivan soaring above a positive-thinking anthem that has genuine energy and power. At a time when female r’n’b is confidently stepping out of the rut it tended to find itself in during the EDM days of the early 2010s and could indeed be heading for another renaissance period, Jazmine Sullivan has made an album which sounds reassuringly timeless in spite of its various retro influences. Although there are still many detailed and modern sonic flourishes here, the spotlight, as might be expected, falls on Sullivan’s exceptional vocal abilities and for the best part, the songs are more than good enough to support her talent. There may be little here that is ground-breaking but Reality Show has little use for trick photography or fashionable gimmicks. Jazmine Sullivan is a shocking scene stealer and is wonderfully showcased here on what may well be her most thought out and intriguing album.